Proteins of the FtsZ (filamentous temperature-sensitive Z) family establish complex polymeric spatial patterns in plastids of the moss Physcomitrella patens. These structures represent a »plastoskeleton« that might contribute to plastid shape and stability. Because additional forces, such as elec­trostatic interactions, are effective between molecules and atoms at the nano-scale, the applicability of the rules and principles of structural analysis to molecular structures (diameter of a moss plastid: 4-5 µm) is unknown. The aim of this project is to develop mathematical models of FtsZ network connectivity and dynamics in order to investigate whether molecular structures of the plastoskeleton are evolutionary optimized to withstanding mechanical stress. Model generation and experimental testing in the moss system will be conducted in an iterative process with the aim of both forward and reverse biomimetics. The Physcomitrella patens genome encodes five FtsZ isoforms in three different subfamilies. The in vivo interaction of these isoforms has been elucidated. 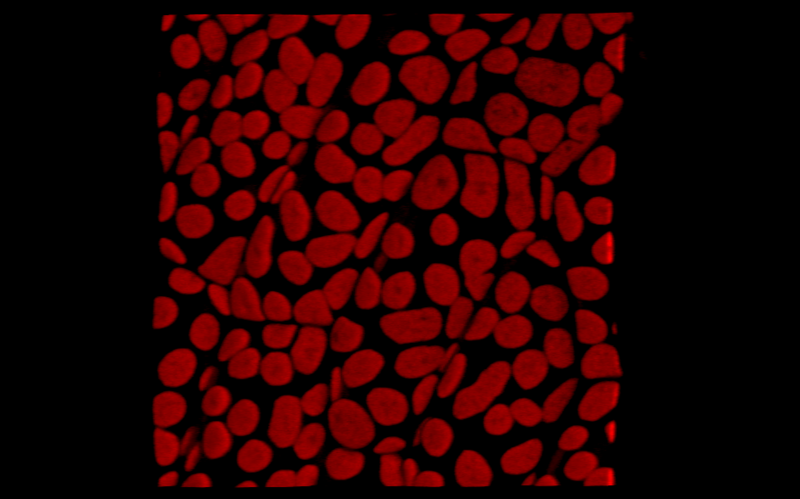 Here, we will generate separate models in order to reveal differences in function and polymer organization. 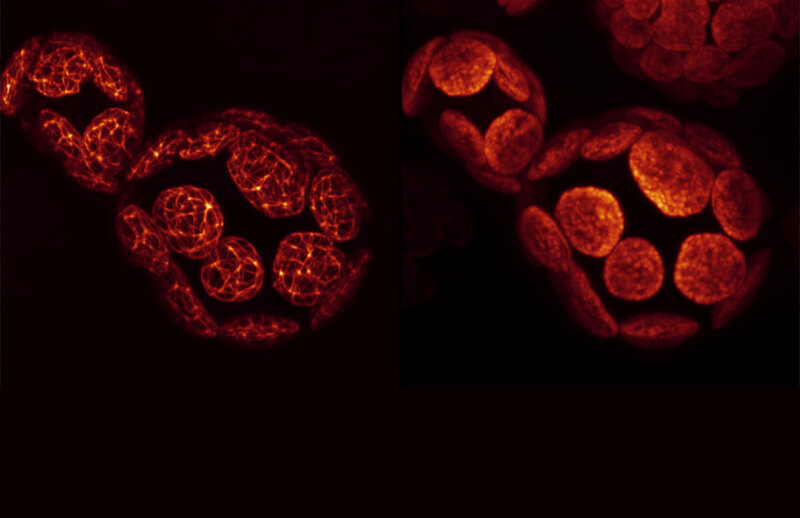 As Physcomitrella patens offers advanced genetic tools such as gene targeting, these analyses can be conducted via knock-in of various fluorescent reporters into the native genomic context. Modelling results will be evaluated with regard to FtsZ and plastoskeleton evolution and tested at the cell-biological level by specific perturbations such as mechanical stress and mutagenesis. At the in silico level, robustness of the mathematical models of FtsZ networks will be tested (in cooperation with B05) with regard to the expected high robustness of complex biological multifunctional structures. The derived principles of FtsZ network models will be analysed in simulations and compared with standard structure networks and shell theory from architecture (in cooperation with B05). Analysed principles of adaptive stability at the nano-scale will be placed into an evolutionary and architectural context and integrated with results from the micro-scale (in cooperation with A03 and A05) and macro-scale (in cooperation with A04). Thus, scalability of structures will be characterized. Furthermore, the modelling results will constantly be integrated into biological hypotheses of organelle evolution and FtsZ isoform functional diversification and tested experimentally in the moss system. Thus, the main aims of this project are to reveal functional and organizational properties of the plasto­skeleton in moss, to generalize nano-network principles and adaptivity by modelling of FtsZ polymer networks and to investigate the potential of transfer of these principles to architectural structures. Fig.6: Visualisation of the plastoskeleton: GFP-labelled FtsZ-isoform. Fig.5: GFP-labelled FtsZ-isoforms show complex network patterns in moss chloroplasts. 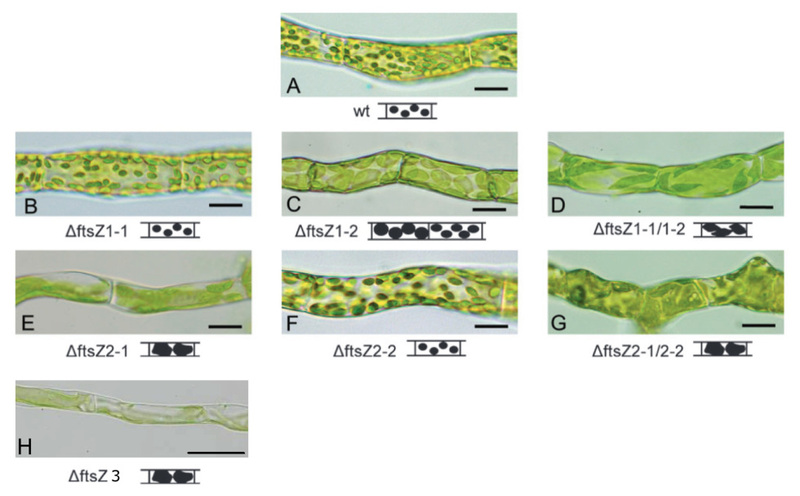 Fig.2: Knock-out mutants of the five FtsZ-isoforms in moss show distinct defects in chloroplast shape and division. Fig.4: Moss leaflet of FtsZ KO showing deformed chloroplasts. 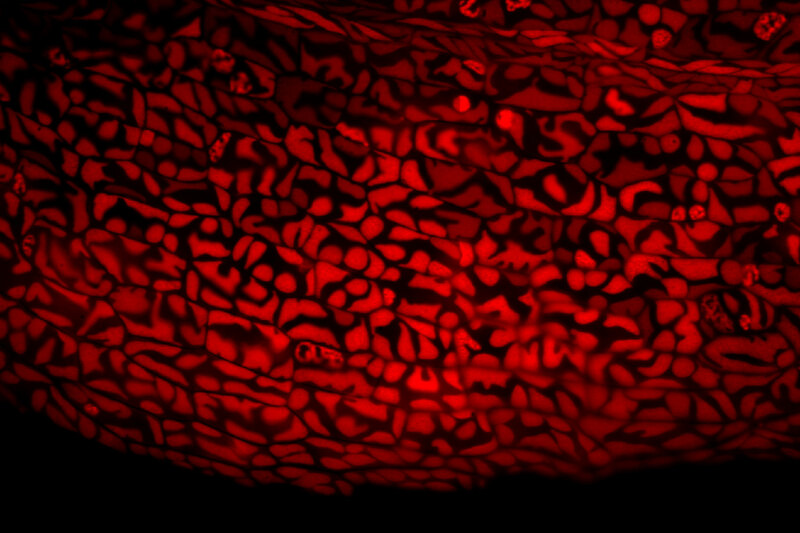 Fig.1: Moss leaflet cells with chloroplasts showing red fluorescence.